Eloquent words within I'm sure. The amusing find as i left the paper store today. 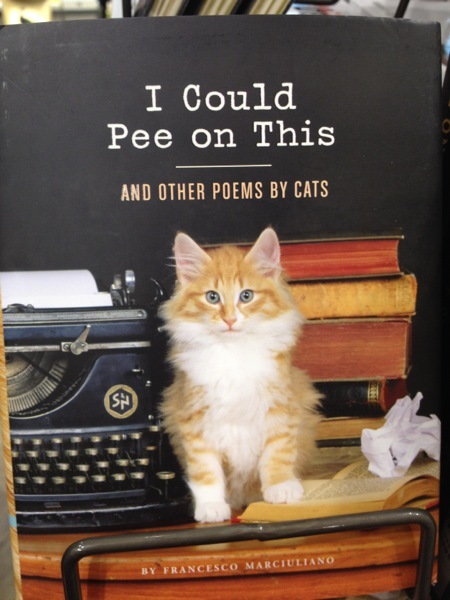 Posted on March 30, 2013 by Vivien Chin and filed under books, etc-, pop culture and tagged cats books.